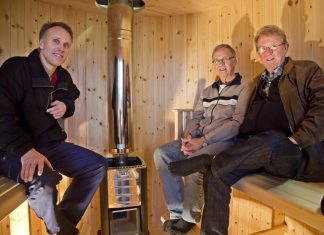 John Haag in Sweden has found his niche in small-scale wood processing. With his two sawmills he started a log home factory. 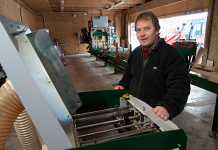 His band sawmill can handle the rough logs, the portable sawmill runs the log house molder. John worked as a carpenter until 2005. 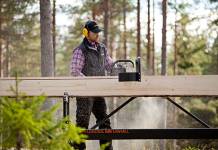 – I had bought a Logosol M7 sawmill with log house molder and started to learn about logging. The sawmill where I worked had some problems, so I decided to start my own company, he says. Today John is working full time. Many customers are from Netherlands, people with dreams of a new life in Sweden. John discovered that a log house homes often is a part of their dreams. 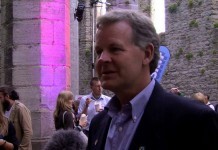 – Many Dutch people like Sweden, almost more than the Swedes, he says. 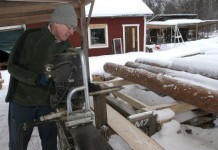 John uses large-diameter timber, his log houses have a solid construction of eight inch diameter timber. 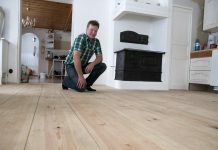 His customers think it looks better and more substantial, but there are also practical and economic advantages of large-diameter timber. It’s all about logs as large sawmills cannot handle. 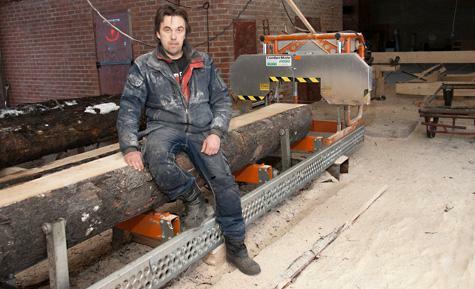 Sawing the big logs is done on a Logosol LM40 log band saw with electric drive. 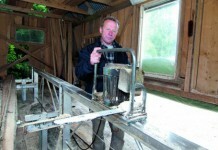 – It’s a really good sawmill. The result is at least as good as the big sawmills in industries. The difference is the volume that you saw, but for me it is more than enough, says John. John was one of those who tested Logosol own blades Ripper37 before setting up the range. 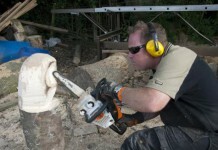 – Ripper blades work well on logs, says John.